Lemons are a great kitchen staple because they help to enhance flavor in your recipes and are available year-round. While lemons are a bright and sunny symbol of summer, most grocery stores carry them all year long, and they can really brighten the flavors in your fall and winter dishes as well. This straightforward citrus fruit also comes with a few key health benefits. However, before you start a lemon juice detox, let’s talk about which hold true and which lack scientific evidence. First things first: eat the pulp whenever you can. This provides a good source of pectin fiber, which is good for your gut health and blood sugar levels because it’s a soluble fiber. Consider juicing lemons for this reason. Lemons also provide a healthy amount of vitamin C, and this can have a positive influence on your heart health and collagen production. Additionally, vitamin C and citric acid can help your body absorb more iron from plant-based foods (a benefit for vegetarians who don’t get it from meat). While the label in the produce section usually just reads “lemons,” there are actually several varieties. You may also have heard of Meyer lemons. This is actually a mashup of a lemon, orange, and mandarin. It has a slightly orange hue — not your traditional bright yellow. There are a few other varieties of lemons, but they are rarely found in stores. Your teeth don’t appreciate lemons as much as the rest of your body, as the acidity can damage tooth enamel. The acid in lemons can also trigger heartburn. When it comes to cooking, the lemon juice can also react with certain cooking materials and cause the food to take on the flavor of metal. Too much vitamin C can also be a bad thing. According to the Mayo Clinic, 2,000 milligrams daily is the max, and while not life-threatening, more than that can lead to diarrhea, vomiting, cramps, insomnia, and headaches. Look from bright lemons that are on the heavier side. Of course, bruises and spots mean they might be out of their prime. 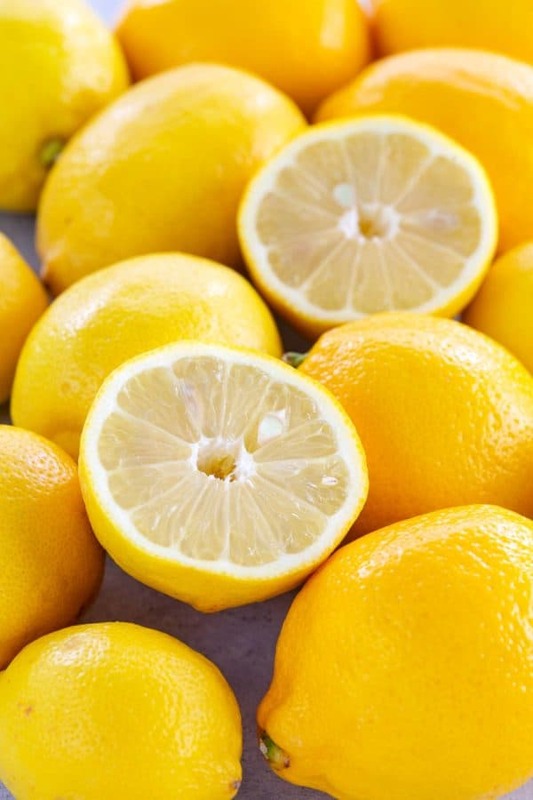 Because lemons are smaller and have a thinner skin than other popular citrus fruits, you can tell how juicy they are by giving them a light squeeze. If they have a little give, that means they’re juicier. The less give, the less juice. The best way to store lemons, according to Cooks Illustrated, is in a sealed plastic bag in your produce drawer. This method resulted in them lasting up to four weeks, whereas those stored loose in the drawer or on the counter at room temperature only stayed fresh until around the 1-week mark, give or take. Whether using the juice or the zest, lemons brighten and enhance the other flavors of a dish. You can use in sauces and in salad dressing. It complements chicken and seafood well. You can also use them as a garnish and in cocktails and mocktails.